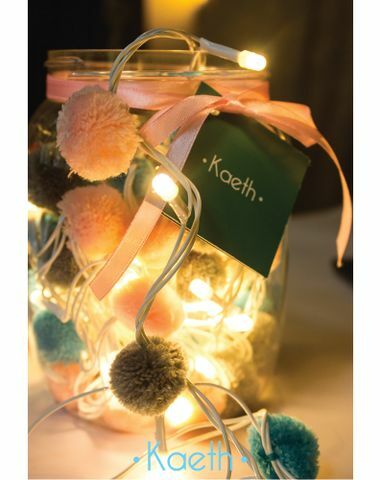 Handcrafted PomPom String lights. 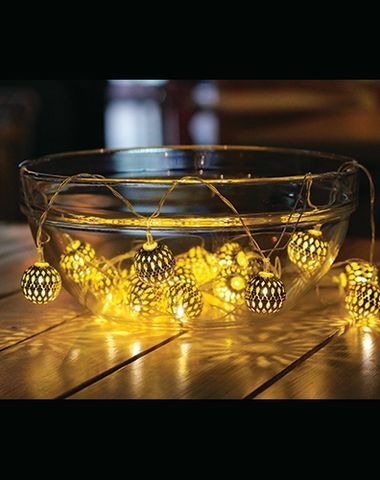 A 5m long LED white string with matte warm white bulb plug-in light. 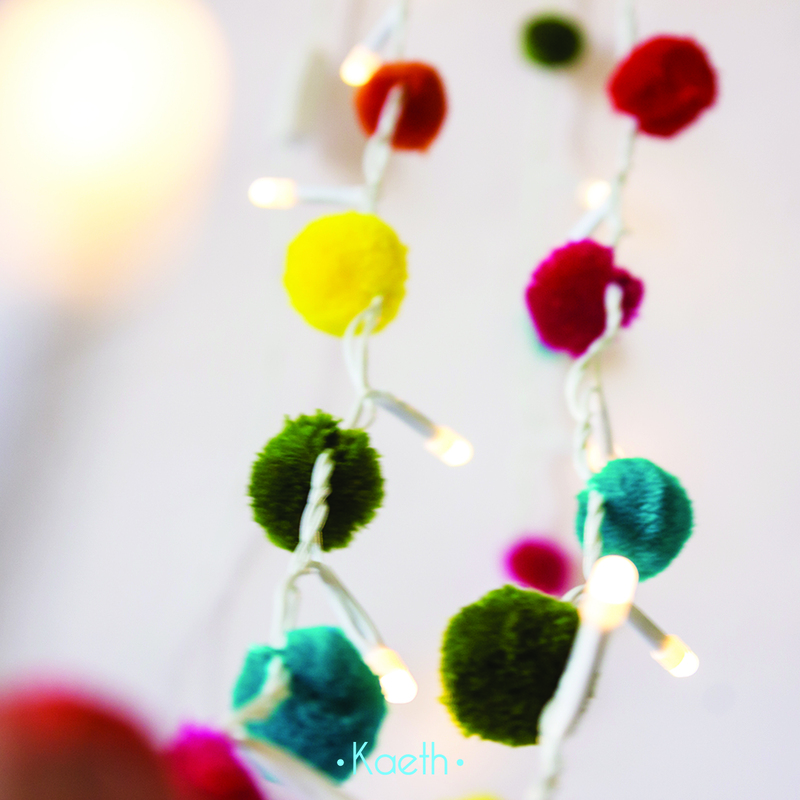 Comes in a colorful combination of handmade pompoms, i.e. 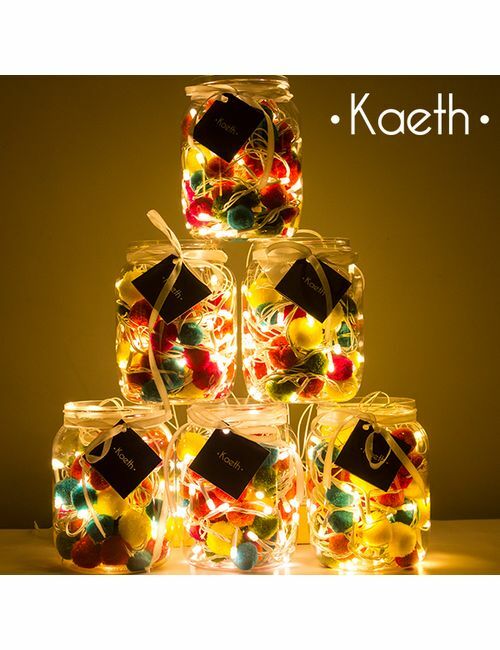 purple, blue, olive green, yellow, rust orange and red and is beautifully packed in a transparent jar, with lid. 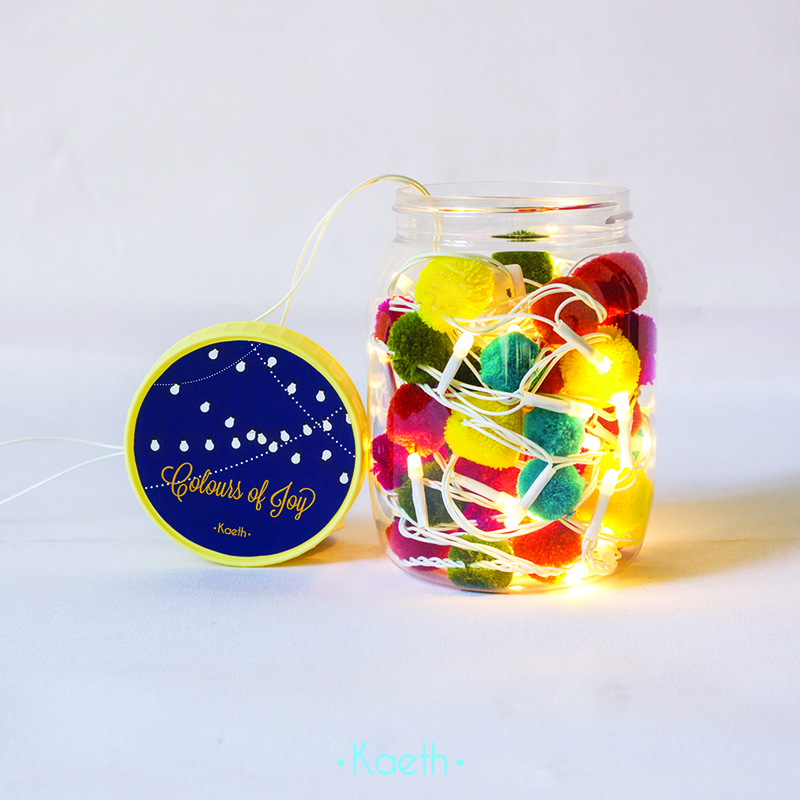 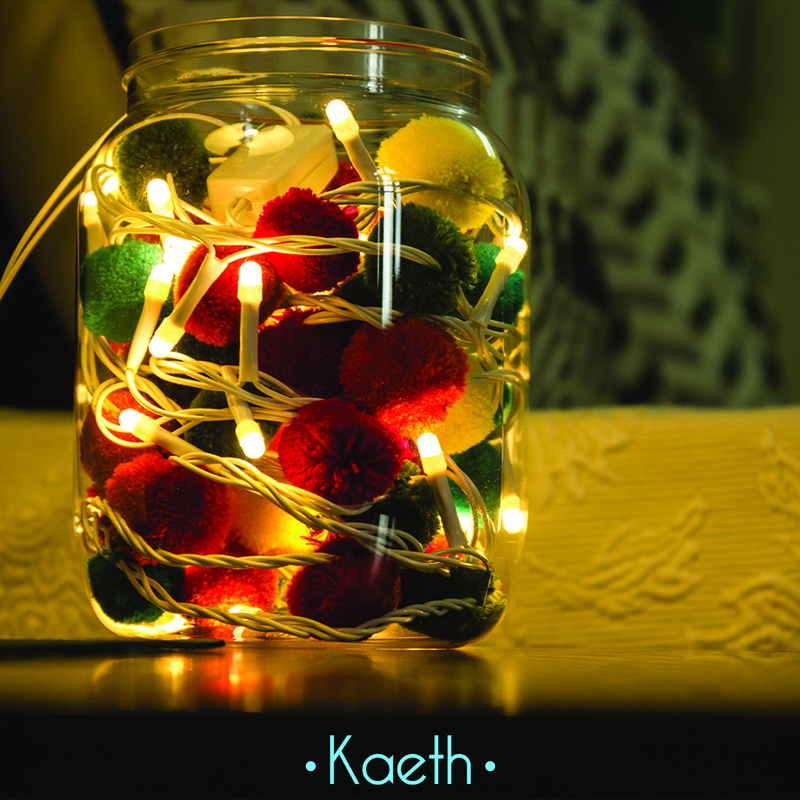 The string light could be used as a decorative inside the jar or put across indoors for various decoration and aesthetic purposes. 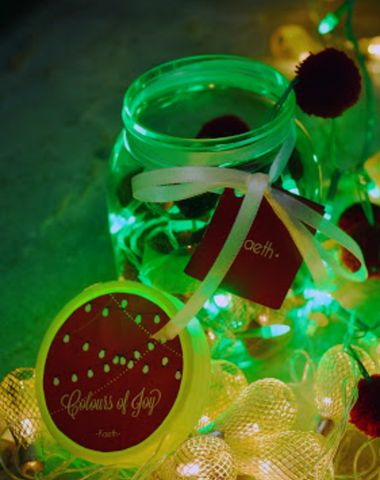 The product makes for a perfect gift too. 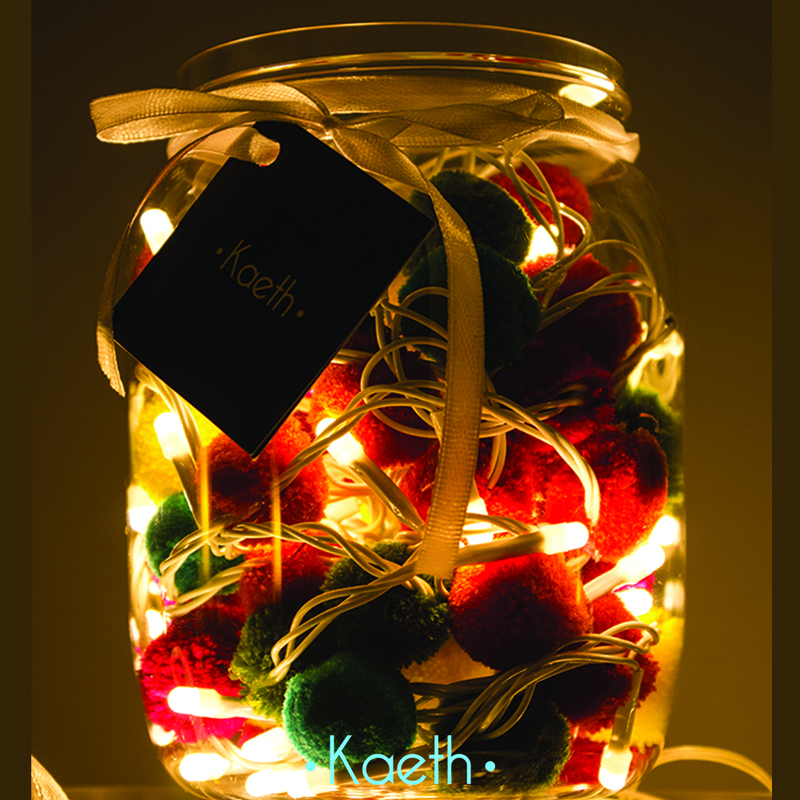 Jar dimensions: H: 14.5", D: 9"